As of 2010 India census, chopal had a population of 10888. Males constitute 58% of the population and females 42%. chopal has an average literacy rate of 89.65%. It is very famous for the production of high quality apples which are exported from India to many countries. It is also famous for tourism. 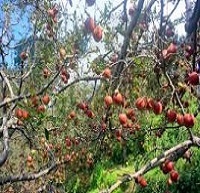 There are many apple growing Belts in chopal such as Tharoch, Poran, Pauria,Peontra Valley, Bamta, Rinjat, Khaddar, Matal, Chanju (Chopal), Kashah, Rushlah, satota(halau,shalan)Dewat,Kakhrona, Shilikyan, Shantha,Sunarli, Maraog (Richest Village Of Asia),Bigraoli, Jhina, Sarain nar koti kiarnoo and so on. The town of chopal is surrounded by forest of Deodar trees . The snow clad peaks form the backdrop of the town enhances the beauty of chopal. The town is dotted with the wood and slate houses. The town is among the most important starting point for the tourist who like to trek to the Churdhar Peak.Before entering chopal you pass through a place 'Riuni' the best scenic beauty on the way. 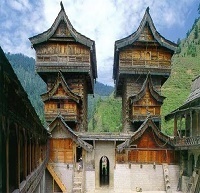 Among the other attractive places of the town of chopal,there is an old temple that is Lankra Vir.The Temple is situated above the town of chopal. A temple of Shirgul Devta is also situated above the town at Ghadala. From here you can see the best view of Churdhar and the whole area.There is another famous temple in Sarain named the Bijjat Temple. 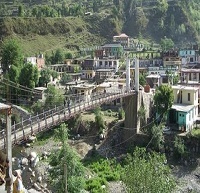 Sarain is a place located near the town of chopal. 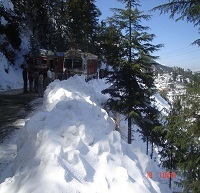 For reaching chopal one has travel for a distance of 110 km from Shimla. The snow clad peaks form the backdrop of the town enhances the beauty of chopal. Nerwa is a town in the chopal of Himachal Pradesh, India..
chopal is very famous for the production of high quality apples which are exported from India to many countries..
Bijat Maharaj Temple in Village Sarain, chopal, Himachal Pradesh. We all have an obligation to keep the city clean. Water is life so please the right to use it. Put garbage in the garbage charity.